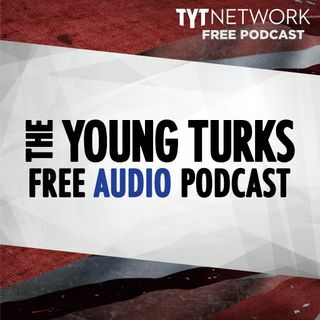 A portion of our Young Turks Main Show from February 14, 2018. For more go to http://www.tytnetwork.com/join. Hour 1: Cenk & John. At least 16 people are dead after a school shooting in Parkland, Florida, law enforcement officials told CNN. The suspect, a former student, was taken into custody "after he committed this horrific, homicidal, detestable act," Broward County Sheriff Scott Israel said. Law enforcement sources told CNN that the suspect has been identified as Nicolas ... See More Cruz. Hour 2: Aspiration live read. Hiring management for Trump properties only hired 1 American out of 144 openings. A new study by Alberto Alesina, Stefanie Stantcheva and Edoardo Teso of Harvard University compares perceptions of social mobility in five countries—America, Britain, France, Italy and Sweden—against actual levels. It finds that Americans tend to be optimistic, while Europeans tend to be too pessimistic. An American born to a household in the bottom 20% of earnings, for instance, only has a 7.8% chance of reaching the top 20% when they grow up. Americans surveyed thought the probability was 11.7%. A West Virginia city has agreed to pay a former police officer $175,000 to settle a wrongful-termination lawsuit after he was fired following his decision not to shoot a distraught suspect who was holding a gun. The lawsuit accused the Weirton Police Department of wrongfully terminating officer Stephen Mader after he chose not to shoot a 23-year-old man while responding to a domestic disturbance in 2016.